She was referring to the diagnosis I received a few hours earlier.We welcomed our son Alvaro into the world on February 16, 2013 at 6:24am. At 37 weeks I was full term and induced because I was losing my amniotic fluid. I remember pushing him out with tears in my eyes. They handed him to me. As soon as I started talking to him, this little baby boy stopped crying. It was magical. “Can you come over and fix it? 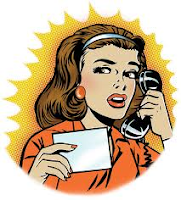 I think I messed it up,” I said just as I hung up the phone with my Mother. “I’ll be right over,” she said. I’m not quite sure what got into me. It could have been the back to back latté’s I had that morning. Apparently having the equivalent of 2 espressos in a row gives me a lot of energy. Perhaps instead it was that feeling that I had grown sick of it and could not stand it any longer. Whatever the reason, there I stood in front of the mirror on Sunday early afternoon. I had my husband’s beard trimming scissors in my hand and a sink full of hair in front of me. I call it my “Britney Spears Moment." Do you remember that? When Britney Spears just sort of lost it, grabbed an electric razor, and shaved off her hair? Frump Girl.That’s what Toula called herself in the movie My Big Fat Greek Wedding. Sadly, that about describes how I feel on my best day.I know it’s temporary during this season of my life. But still, if you asked me how I feel these days, the answer is quick on my tongue: frumpy! 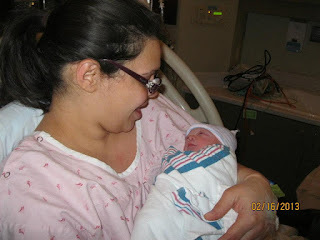 I remember so well that I felt the EXACT same way after giving birth to Joel. For weeks I walked around feeling frumpy. In fact, I gave myself a pep talk right before having Alvaro. I told myself I would make sure to do my hair every day. I would make sure I would not walk around the house in PJ’s. I’d shower daily. Heck- I may even wear makeup regularly! Anything to keep from feeling like that again.